The following are general and class-restricted parking signs and are all blue signs with white writing. They indicate where you are allowed to park, for how long or when, and what type of vehicles the parking applies to. Then try out a Road Code quiz to test your knowledge. Signage indicating a loading zone and for how long you are allowed to park there. In this case, it is 5 minutes. An arrow will show the position of the parking in relation to the sign, if relevant. 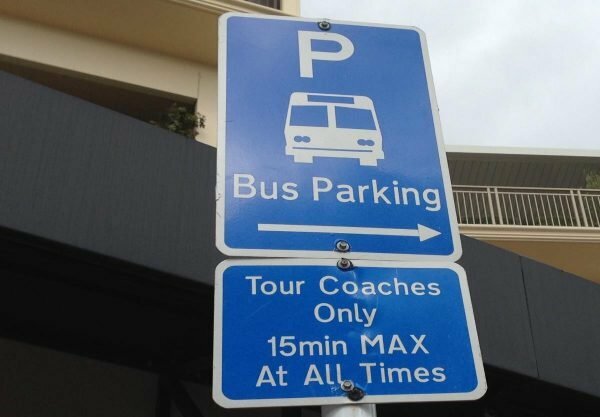 Parking signs can be stacked to give specific instructions for drivers of different vehicles. 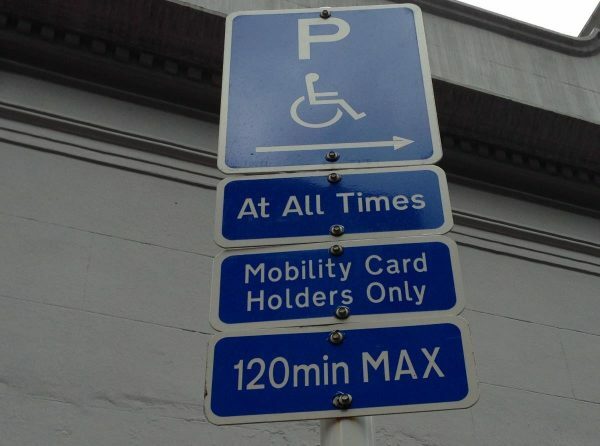 Four plates on this disabled parking sign clarify when it is in effect, who can use it and for how long. 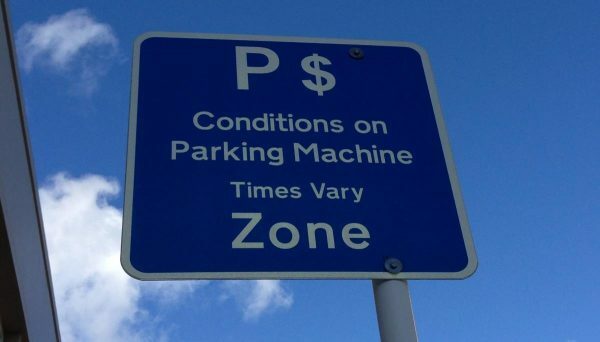 Paid parking zones are common around central Auckland and these signs appear where they start. 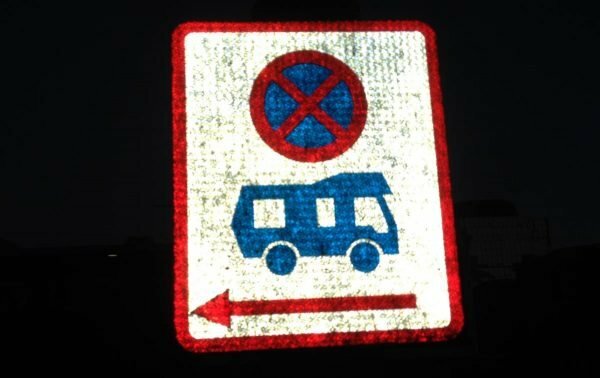 This sign is in Rotorua indicating no parking except for campervans to the left. There are not equivalent blue signs in this case.